Product Information : Triangular, snow white blossoms with a fuzzy splash of lavender in the center. Blooms up to 8 weeks. 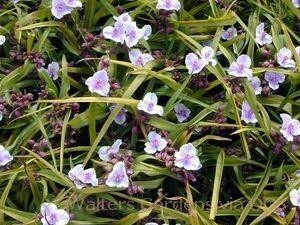 This cultivar has a more compact growth habit and foliage that stays attractive even in drier conditions.